She however made a headway in her quest, as the Vicar who agreed to send the letter to the Bishop asked her to return on October 23, 2018. 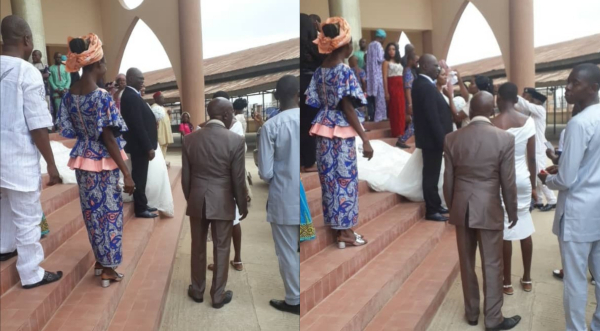 The Nigerian lady further wrote a letter to the parish priest of St. John The Evangelist Catholic Church Ladipo, Oshodi, Lagos State, stating that her husband shouldn't be joined in holy matrimony to the lady as they've not ended their marriage properly. It was however gathered that the wedding went on today, Saturday, October 20, 2018 in spite of her letter.